Destiny Tool makes treadmills as Single Profile & Helical Thread Mills available with Side Coolant & Straight Coolant. Thread milling uses a process referred to as “helical interpolation” and requires that all three axes of the machine move simultaneously to create the thread. The full depth of the thread can be machined at the same time; the distance of movement for the Z-Axis is determined by the thread pitch (1/Pitch). 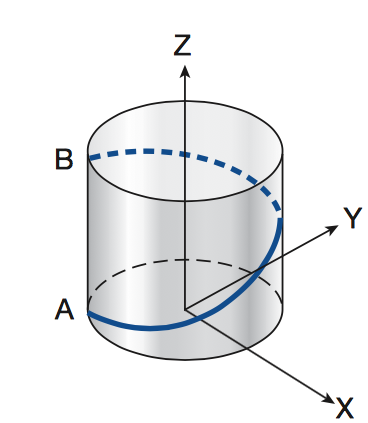 The circular motions of the X & Y axes create the thread form and major diameter. The same surface feet per minute can be used for thread mills as for end mills of the same size. 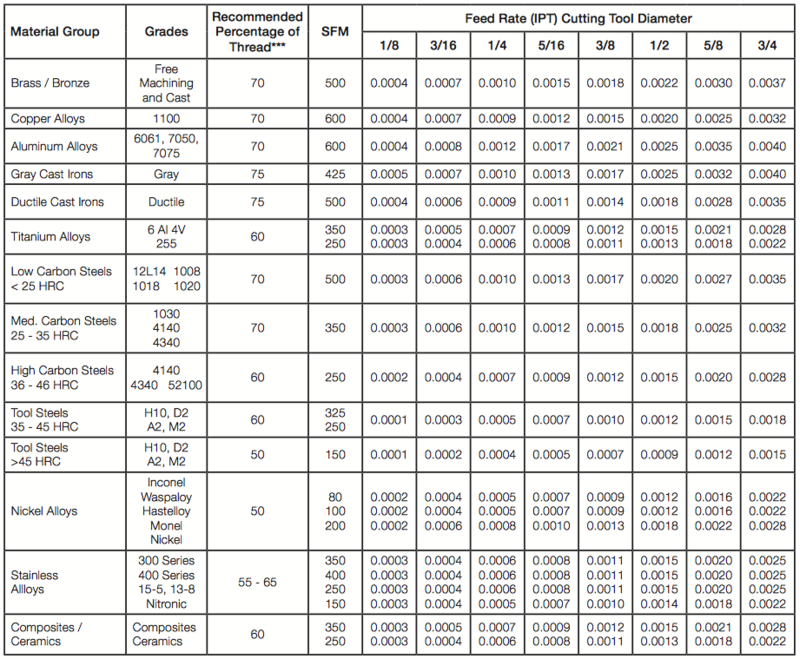 The feed rate must be slower, however, since thread milling often involves unfavorable length-to-diameter ratios. Also, keep in mind that the thread mills have more surface area contact than an end mill of equal length. Most CNC mills are programmed in inches per minute which is applied at the centerline of the spindle. In internal applications, the outside diameter of the tool will be traveling faster than the centerline of the tool. The reverse is true for external applications. It is best to start out conservatively with feed rates and the number of passes required and adjust upward per good machining practice. Right-hand thread mill - machine from bottom-to-top for climb cutting. Left-hand thread milling - machine from top-to-bottom with a right-hand helix tool.